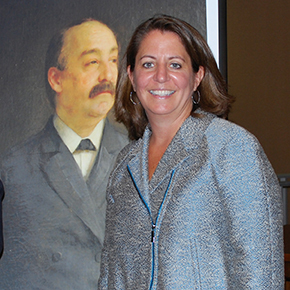 Lisa Monaco, Assistant to the President for Homeland Security and Counterterrorism, was the keynote speaker at the 53rd Annual Ceremony honoring Charles J. Bonaparte, the 46th Attorney General and founder of the Federal Board of Investigation. The ceremony was held at the U.S. Department of Justice on August 23, 2013. Ms. Monaco spoke first about the importance of tradition in growing up in an Italian American family, and then pointed to the significant accomplishment of Charles Bonaparte in setting up an investigative force that evolved into the FBI. 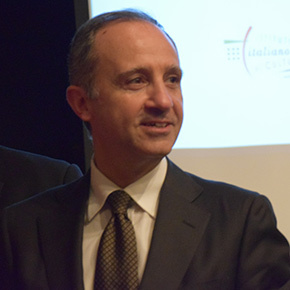 Luca Franchetti Pardo, Deputy Chief of Mission at the Italian Embassy in Washington D.C., delivered special remarks, noting the historic and continued cooperation between U.S. law enforcement agencies and their Italian counterparts. Also speaking were Judge Francis Allegra and Associate Deputy Attorney General David Margolis. Maria Marigliano, a senior official with USAID opened the ceremony with the singing of the national anthems of the Republic of Italy and the United States. Fr. Ezio Marchetto, Pastor of Holy Rosary Church, delivered the invocation. The program was organized by Francesco Isgrò, Chair of the Friends of Charles Bonaparte, and an attorney at the Department of Justice. Following are excerpts from presidential assistant Lisa Monaco’s prepared remarks, delivered at the 53rd Annual Ceremony honoring Charles J. Bonaparte. “. . .why is it important that we keep coming together to honor our 46th Attorney General? Many answers, but mine is: Tradition. Tradition is important–particularly for those of us from Italian families–and it’s worth preserving. It reminds us where we come from and how we got to be who we are. I’ve come to appreciate that more and more as I’ve gotten older. Being Italian-American didn’t seem like something that made me special when I was growing up. Growing up in a Boston suburb, sometimes it made me feel different. But over time, my identity as an Italian-American, and my family’s traditions, have become a source of great strength and enduring pride. My father tells me that my grandfather was just 16 when he came to the United States from Biccari, a little hilltop town in southern Italy. 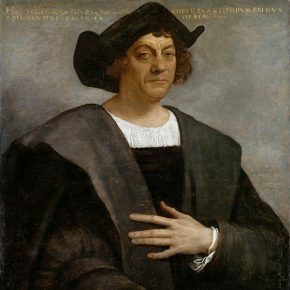 He arrived in Philadelphia and took a room at a boarding house that was run by a family who had emigrated from a neighboring hilltop back in Italy. Eventually he opened up a barbershop at 6th and Pine, married the innkeeper’s daughter, and together they raised four children, including my father, on South Broad Street as independent, first-generation Americans. Many years later, when my grandfather passed away, my father wanted to make sure that his own children knew about their history. So he packed us up–me, my three brothers, mom, dad, and grandma–and took us all to Italy. It was like the Griswold’s family vacations, only with better food. I was ten at the time, but I remember visiting Biccari and being welcomed home. The whole town felt like family, literally. The mayor of the town was a Monaco and so was the bishop. And I remember how special it was for my grandmother to reconnect with the heritage and traditions–like the nightly passeggiata (the walk around the town square) that was such a critical part of her story, and mine. That trip made me appreciate my Italian heritage and importance of history and tradition, so I’m honored to be part of another fine Italian-American tradition, celebrating Charles Bonaparte and remembering this chapter of our history.